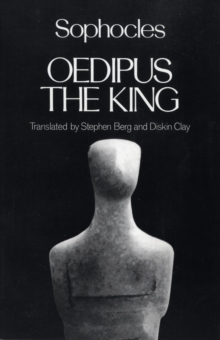 Based on the conviction that only translators who write poetry themselves can properly re-create the celebrated and timeless tragedies of Aeschylus, Sophocles, and Euripides, the Greek Tragedy in New Translations series offers new translations that go beyond the literal meaning of the Greek in order to evoke the poetry of the originals. 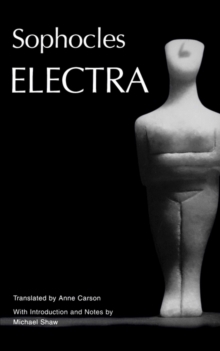 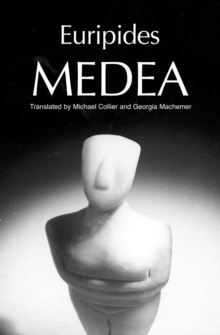 This volume collects Euripides' Andromache (translated by Susan Stewart and Wesley D.
Smith), a play that challenges the concept of tragic character and transforms expectations of tragic structure; Hecuba (Janet Lembke and Kenneth J.
Reckford), a powerful story of the unjustifiable sacrifice of Hecuba's daughter and the consequent destruction of Hecuba's character; Trojan Women (Peter Burian and Alan Shapiro), a particularly intense account of human suffering and uncertainty; andRhesos (Richard Emil Braun), the story of a futile quest for knowledge. 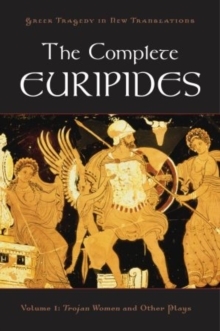 This volume retains the informative introductions and explanatory notes of the original editions and adds a single combined glossary and Greek line numbers.